Hi all and thanks for visiting today. 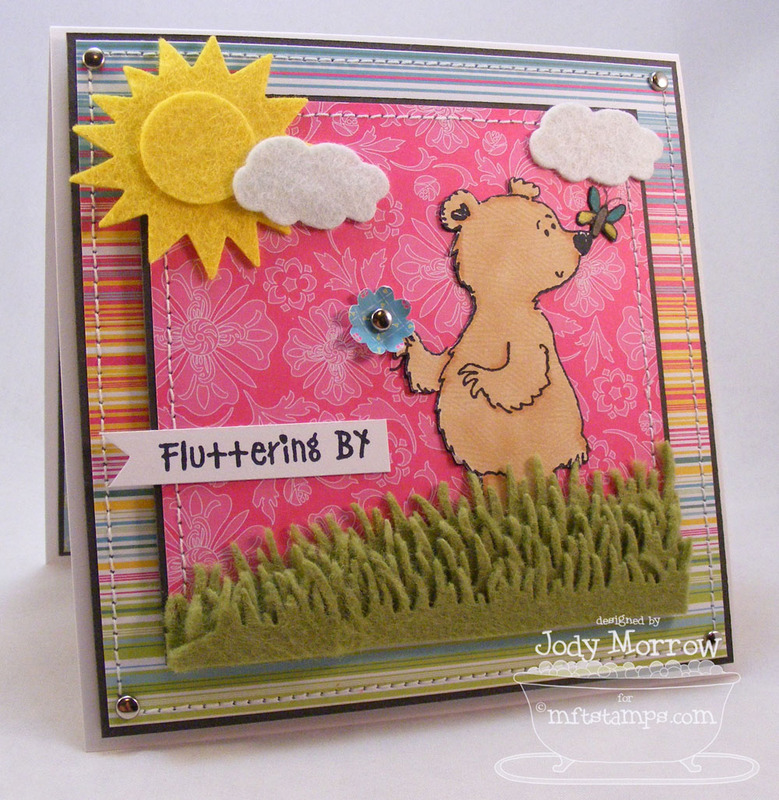 :) I have a quick post for today using Fred Bear & the Butterfly. 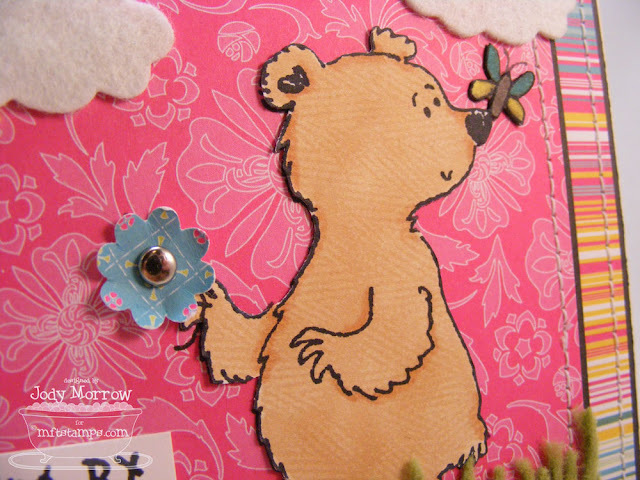 Once again, I used the Copic Colorless Blender on twill tape ribbon trick to add texture to Fred Bear. 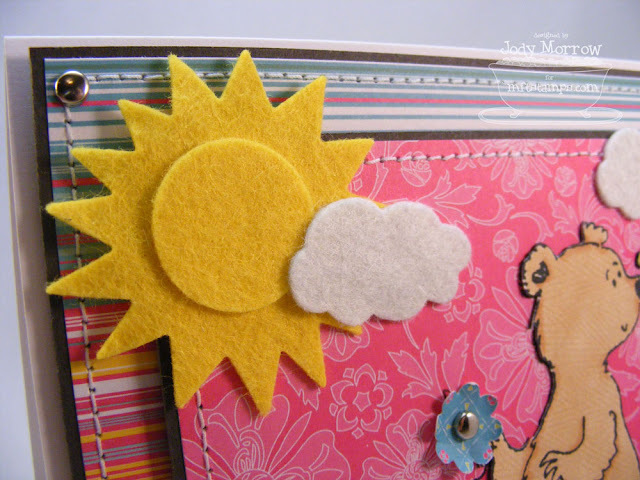 The sun and clous were both die-cut using My Favorite Felt from MFT. Here is a peek inside. I used Cosmo Cricket stickers for the greeting. What a darling card you created. Glad to be following your blog. Well how stinkin' cute! Love the texture on Fred! What a fun and cheery little scene!! LOVE the texture on Fred and all the luscious felt elements!! Ack! You're making me want that paper! 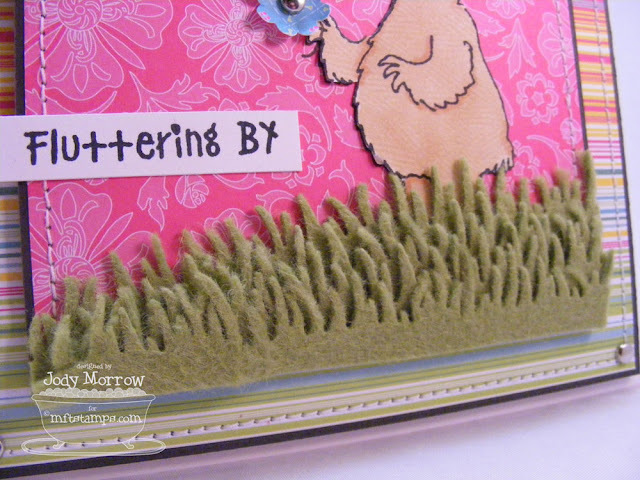 Your grass is fab and I love the flower! Oh my goodness this is adorable. Love the layers of grass, the sun, the clouds and the great texture on Fred. Super cute. This is so charming. Love your embelishments. 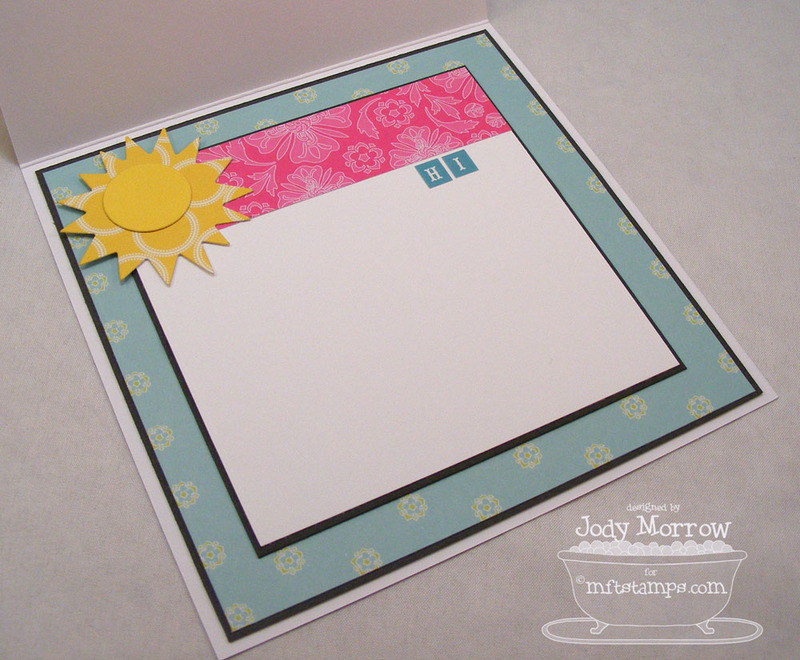 Another ADORABLE card!! I love it! !